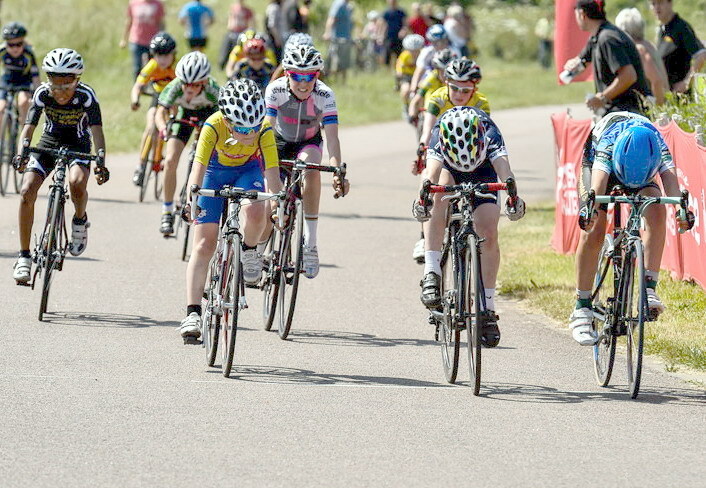 Going back to CJ’s ‘bogey’ circuit for a National Youth Circuit Series race where the year before he took 14th whilst under the weather was always going to be tough on him. His mother informed that no circuit should have a jinx on him, but never the less he was quiet and pensive on the ride down the A406. 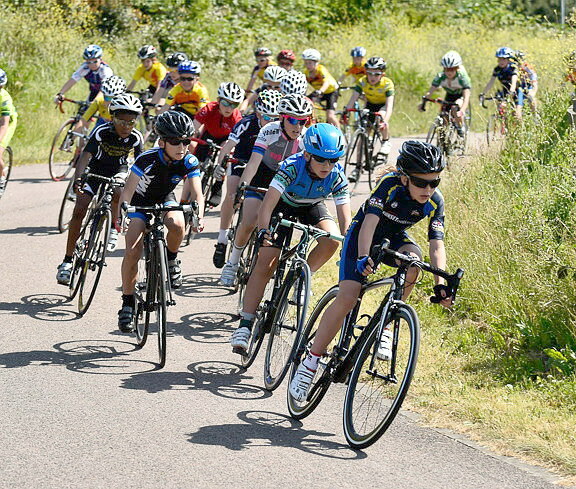 Upon signing on we realised there were just under 40 riders for the 6 lap war and in comparison to Milton Keynes tropical rain storm, the weather was near perfect so he would now have a chance to find out on a more level playing field if he was up to pace with the best. CJ was now gridded on the 2nd row as he held 22 National points from his previous 5th placing and was grateful as he wanted to avoid the ‘starters panic’ as they clipped in. 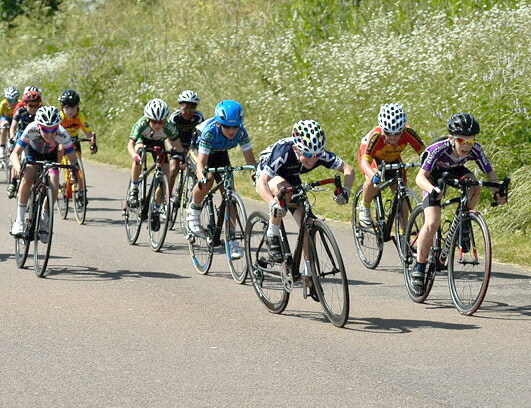 From the drop CJ remained in the top ten for the first lap which went like a blur as the youths went full steam ahead to shake up the pack, but after a few attacks the second lap still contained just over 20 racers. 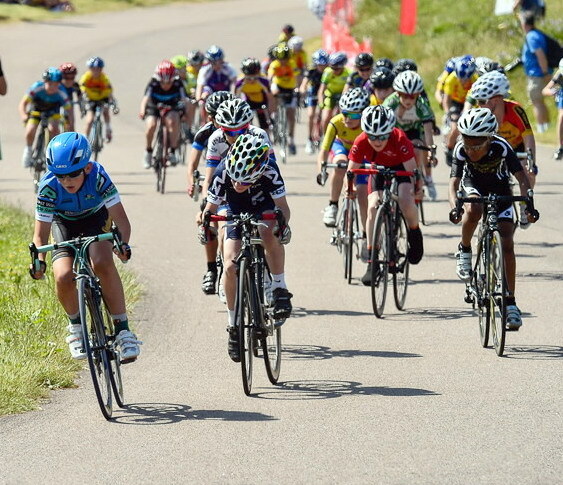 Moving into lap two CJ took up more dominant positions against the more establised and seasoned National racers and rolled in the top six as he wanted to cover any breaks especially in the Prime’s where he took a single third placing gaining one National point. Into lap three Joshua Tarling (West Wales CC) launched one of many attacks that split the group at the hill but it wasn’t long before the pack was back together again as no one wanted to sustain the push. By lap four Tom Davies (Welwyn Wheelers CC) was putting in work on the front as the group stayed together at a steady pace waiting for the penultimate lap. CJ pushed for a strong position getting ready for the last lap hovering in fifth and on the bell was with the racers he felt were his main concern. Heading down to the Clubhouse the tempo slowed up as the racers wondered who would show their cards until the last bend up to the 250 metre finish line, where all hell unleashed as through the haze the pack sprinted for the line. CJ rounded the bend in sixth and bolted taking a position and aiming for anything in his sight as fourth place still held a cash prize. but as the metres passed by it was apparent that another fifth was to be his destiny yet again though Jed Smithson (Worxs Bikes) drove him hard to the line.